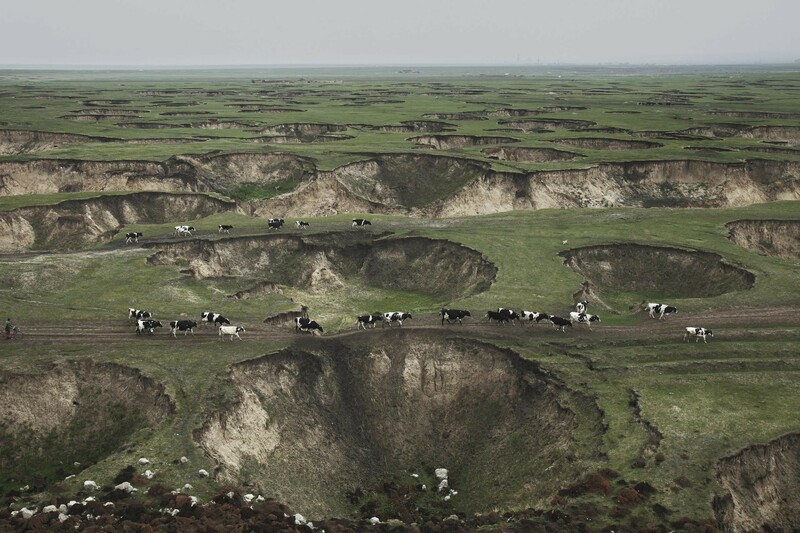 Due to the vast exploitation of coal mines, Holingol’s meadows have been destroyed, now bereft of cattle and sheep. To improve the city’s image, the local government placed in the Horqin Grassland over 120 sculptures of sheep, as well as cattle, horses and camels. Why did he disappear in late 2018? Why do so many journalists disappear in Xinjiang? 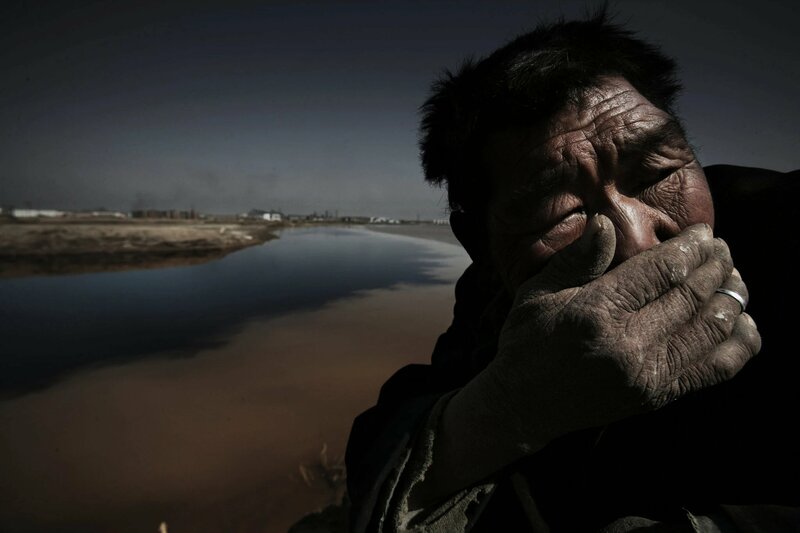 Lu Guang is an award-winning Chinese photojournalist and has done a lot of documentary projects highlighting social, economic and environmental issues and injustices. 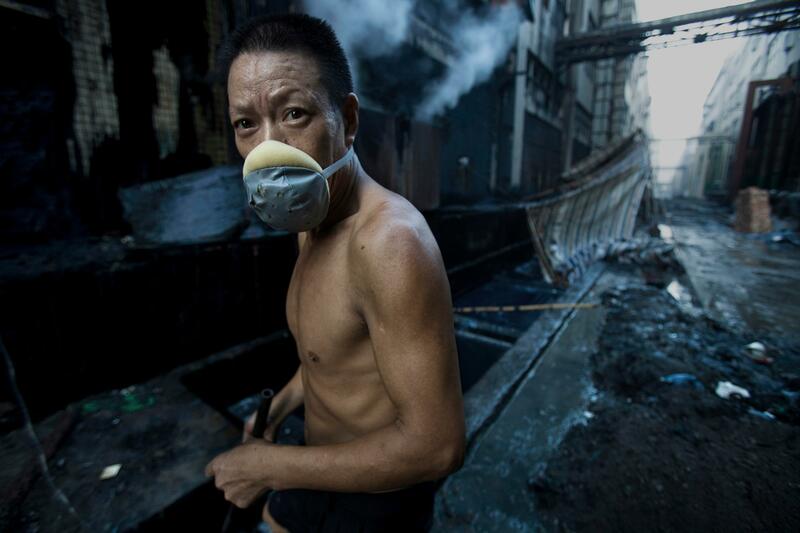 This renowned photojournalist’s exposures on pollution and environmental destruction have long been underreported in China due to the government’s penchant to mete out punishment to such activists. 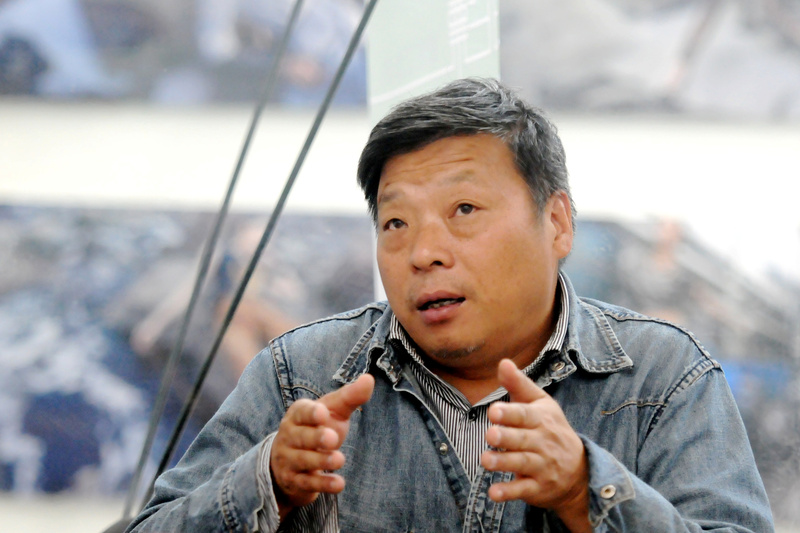 Due to his work documenting the above issues, Lu Guang may have fallen victim of the censorship that the Chinese government uses as a measure to silence activists and people who shed light on injustices in China. Lu Guang was reported missing in early November 2018 with his wife Xu Xiaoli claiming that national security officers took him away, something that the Chinese police have since confirmed. He was arrested in Xinjiang province where he had gone visiting, but no reasons were given for his arrest. While the suspicion is that he was arrested because the authorities feared he was there to document the indoctrination camps1 where thousands of Muslims are being detained, the photojournalist was however there to attend several photography events. He was to do so, then meet a friend, Mr. Chen, in Sichuan. He did not manage to get to Sichuan. The Xinjiang region where atrocities, surveillance2 and control by the government of the Uighur3 Muslim community is also known for extreme censorship of these control measures where investigative reporters are often arrested for attempting to document the events happening in this region. 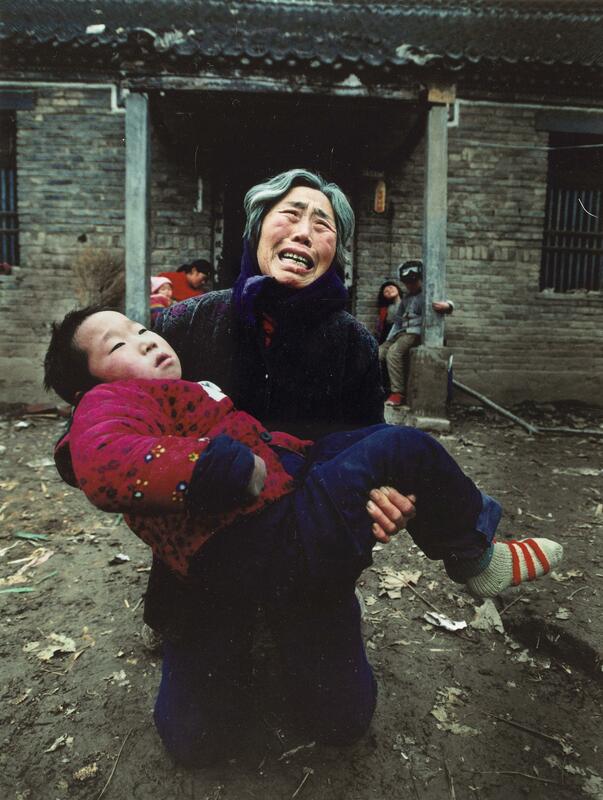 Using photography to highlight issues in China has been Lu Guang’s self-driven initiative since 1993. 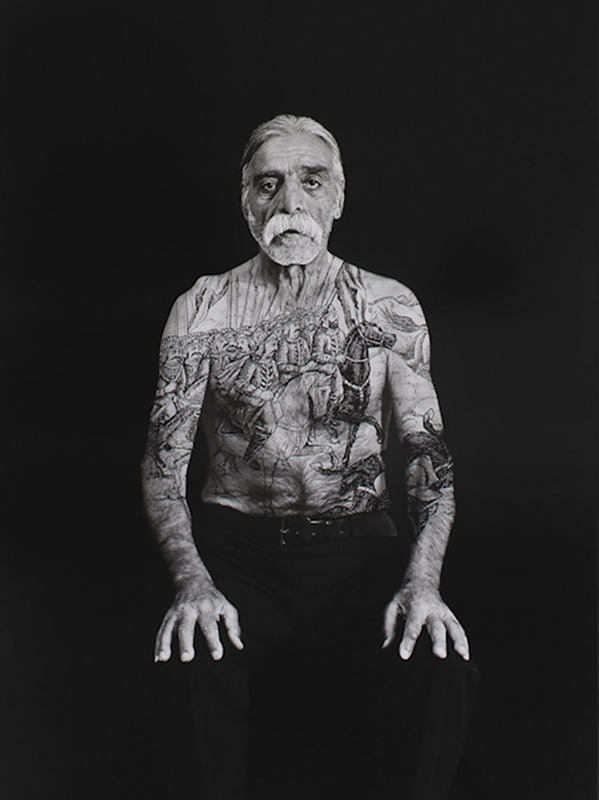 In 2004 he won the World Press Photo Competition4 for his work in exposing AIDS villages in China where so many people contracted HIV as a result of unsafe procedures used in giving blood. These poor villagers were selling their blood to earn a living. This subject, among other societal problems such as pollution and the destruction of the environment by industries, is an issue that the government considers sensitive and is hence avoided by the Chinese media. 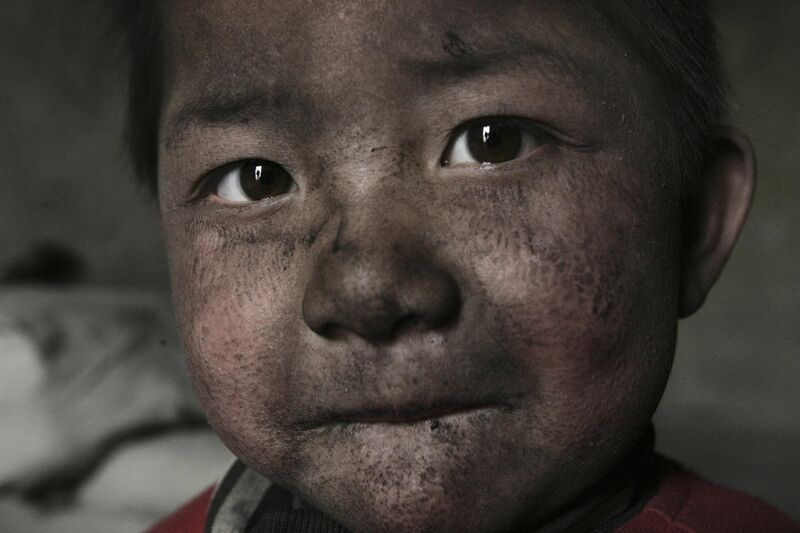 His work consists of photo stories on local coal miners, drug addiction especially along the Sino-Burmese border, gold diggers, the Henan Province’s Aids villages5, bilharzia’s medical effects, industrial pollution and the adverse effect of the Qinghai-Tibet railway6. 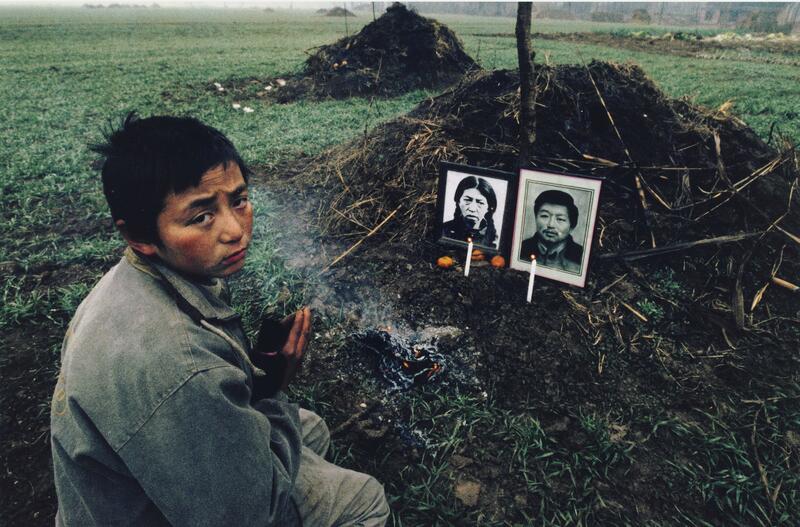 The photojournalist was born in 1961 in China’s Zhejiang province. He developed a passion for photography as a factory worker in Yongkang County in 1980 and held a camera for the first time. 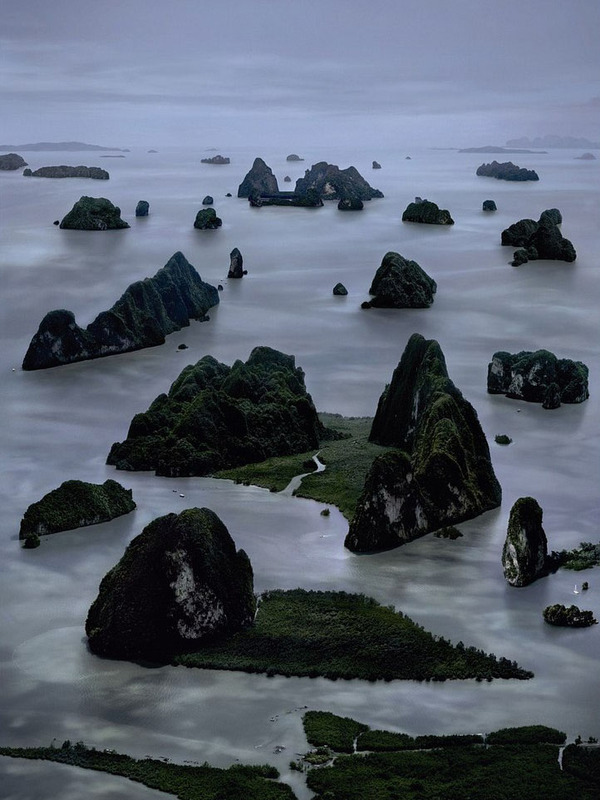 This fueled his desire to pursue photography, and in 1993, he enrolled for classes at Beijing’s Fine Arts Academy of Tsinghua University. At the same time, Lu Guang started freelancing and developing major self-initiated documentary projects focusing on social, environmental and health issues. He has also won the Henri Nannen Prize in Photography (2008) award in Germany, the W. Eugene Smith Memorial Fund in 2009 and in 2010, he received a National Geographic Photography Grant. 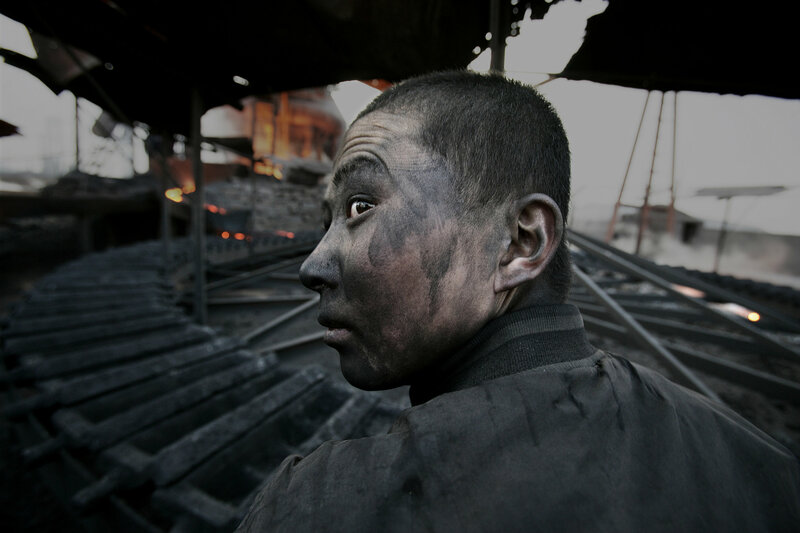 A factory worker in Wuhai City, Inner Mongolia, in 2005. Due to a lack of environmental safety standards they would get ill after one or two years on the job. A look through this sewage pipe shows the high-range premises “golden brink”. 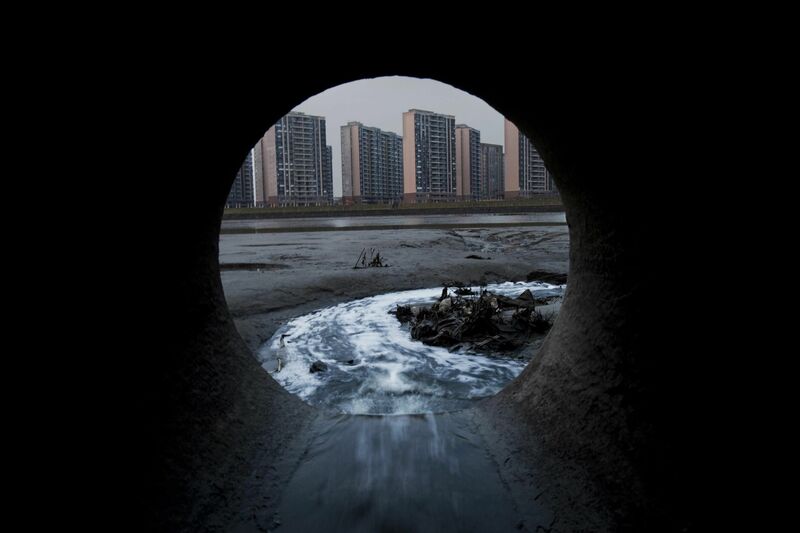 The existence of these sewage pipes, however, does not mean the Fenghua River’s water is “golden”. Black and red sewage pollute it. 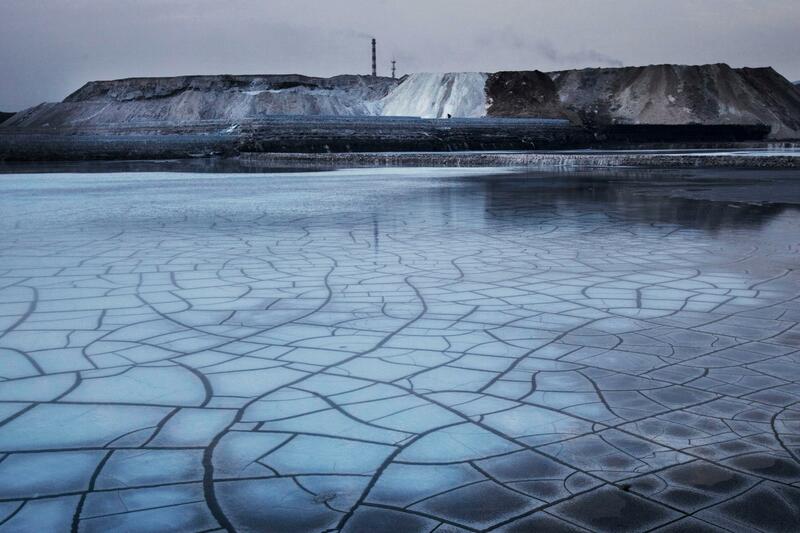 In Baorixile Town, in the world-renowned Hulunbuir Grassland, there were over 100 small collieries during the 1990s. After more than a decade, large holes appeared, transforming the grassland completely. Tragedy struck when a local herding family of three drove their tractor into a large hole, never again to be found. 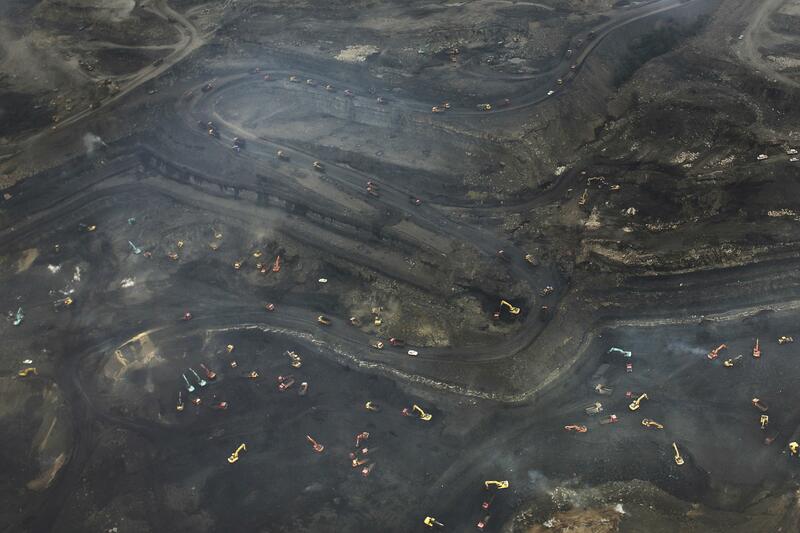 According to the plan, it is feasible to exploit the coal mine in Maoer groove, which has a 61-year-long history. After the coal mine was contracted by individual, it was exploited improperly. Since the exploitation began on 1 November 2012, half the area has already been exploited. The compensation the contractor promised the villagers was not fully issued. It is unknown where to build the villagers’ houses. Besides, the land cannot be cultivated. The villagers protest against it continuously. Laseng Temple has an over 200-year-old history, which includes the study of Mongolian medicines. It was seriously polluted by the surrounding factories, so few pilgrims go there now. In the jeans-producing village of Xintang Town, in Guangdong, workers gain the stone for grinding the denim every morning. A woman carrying her severely ill grandson implores the sky to prevent the devil of pain returning. Children also live in the industrial district. China is now the world’s second-largest economy. 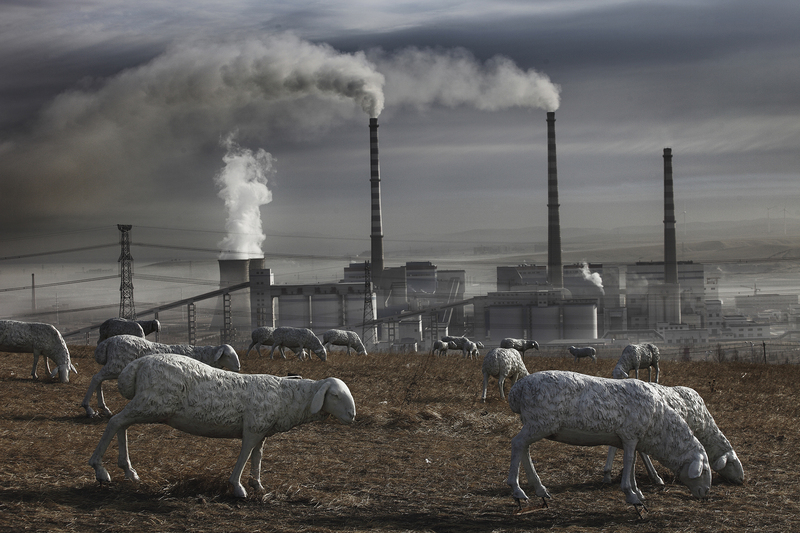 Its economic development has consumed lots of energy and generated plenty of pollution. Gao Rongsheng (13) at the grave of his parents. Many factories are found in the western part of Qian’an. Every day, their chimneys discharge thick smoke. Many large steel factories are located there, such as Qiangang, Jiujiang, Songting, Yanshan. That area is covered with smoke and dust. 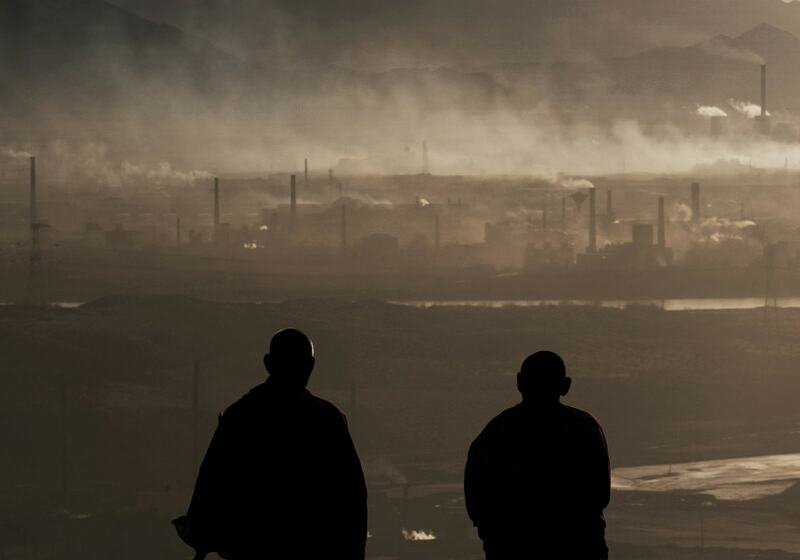 It is one of the cities with the most serious pollution in China. 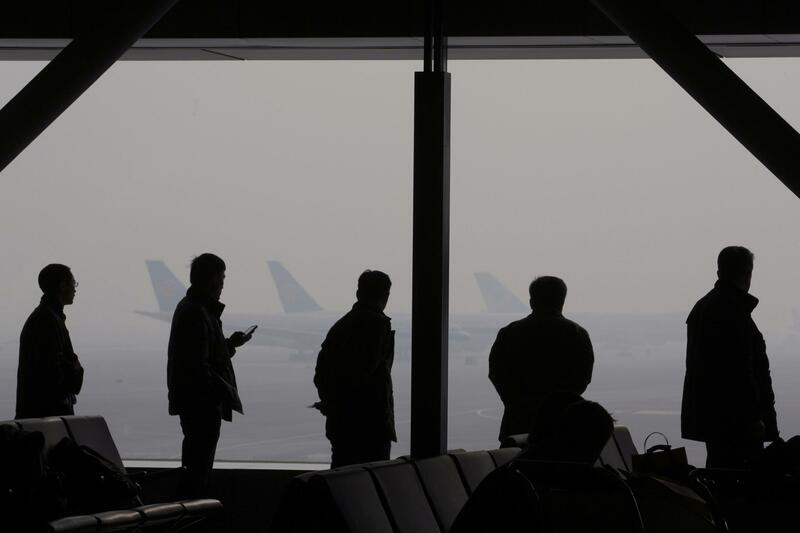 Severe haze occurred in Beijing Capital International Airport. Passengers are waiting in the airport lounge. On 16 July 2010, the pipeline of the Newport Oil Wharf of Dalian Bay exploded, sending lots of oil into the sea. 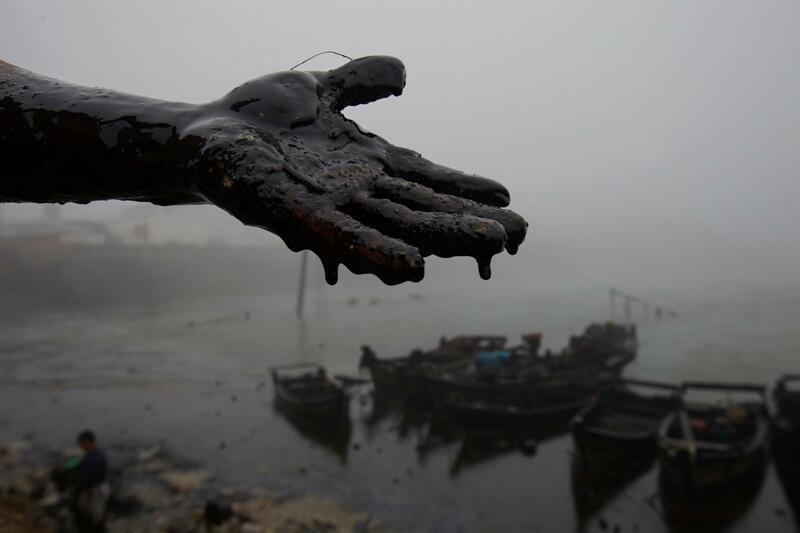 Many fishing boats were assigned to clean up the oil contamination for 8,150 times. About 12,830 tons of sump oil with water was recycled. 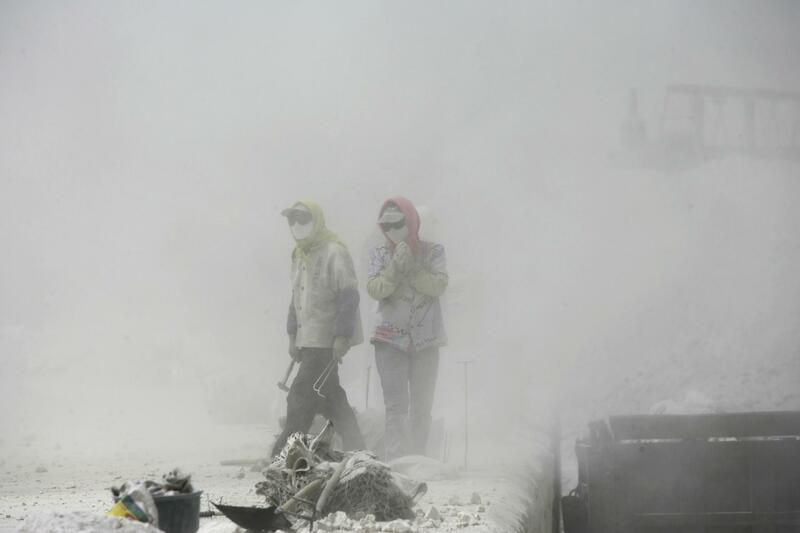 Some 45,000 people were involved in the cleanup, including the person whose hand is shown in this photo. Wuhai Chemical Plant produces PVC products that create lots of poisonous waste material and sewage, which gets dumped along the coast of the Yellow River. 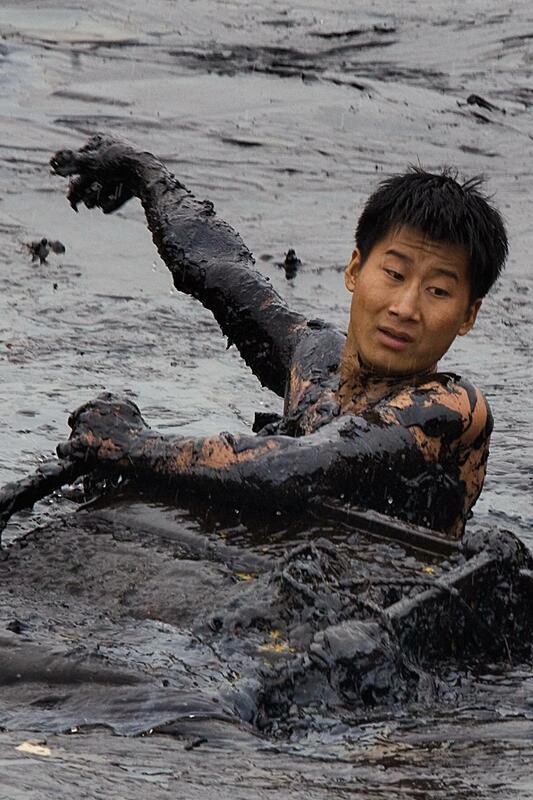 Zhang Liang floats in the water, cleaning debris from the pump. On 16 July, two pipelines exploded as crude oil was being unloaded from a tanker in the port of Dalian, in northeast China, unleashing a massive oil slick into the Yellow Sea. Firefighter Zhang Liang (25), died during clean-up operations. While diving to clear debris from the submerged pump responsible for pumping water to firefighting boats, he was caught in an undercurrent and drowned. His colleague Han Xiaoxiong, and later also their instructor Zheng Zhanhong, tried in vain to rescue him. 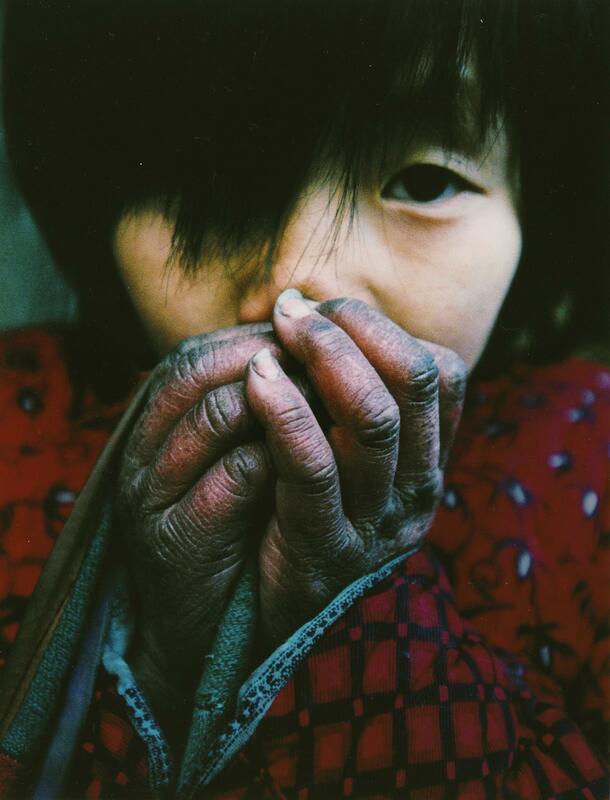 All images by Lu Guang/icp.org unless otherwise noted. 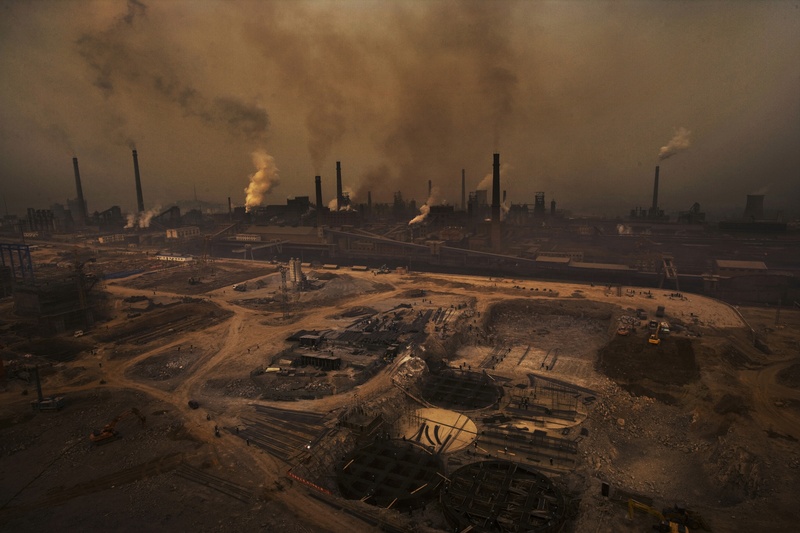 In July 2010, Chinese photographer Lu Guang documented the oil spill at the city of Dalian. The pictures won a World Press Photo award in 2011. Posted on January 30, 2019	in the category Photography and tagged activism, Art in Beijing, Art in China and by Chinese artists, Dalian, Guangdong, Hebei, Inner Mongolia, Laseng Temple, Liaoning, Lu Guang, Ningxia, photography, portraits, Wuhai, Xintang.